The following text describes additional funds that benefit our department with instructions on how to donate. To give online, follow the link of the fund to which you wish to make a contribution. You will be directed to an online payment form located on the University of Oregon Foundation Page. If you have problems with the online giving form, contact the UO Foundation webmaster webmaster@uofoundation.org or call (541) 302-0287. Geology Departmental Fund: This is a general fund that is used to receive and administer unrestricted donations supporting a wide range of departmental activities including seminars, equipment, and outreach. Geology Emeritus Faculty Tribute Award Endowment Fund: Provides support of undergraduate students to help defray the costs of summer field camp, summer support of graduate students, or other related purposes. This fund was established in honor of all emeritus faculty in the department. Ewart and Margaret Baldwin Scholarship Endowment Fund: This fund supports graduate students in Geological Sciences doing research in sedimentology, stratigraphy, or paleontology. Lloyd W. Staples Scholarship Award Endowment Fund: This fund provides meritorious awards to graduate and undergraduate geology students interested in mineralogy or economic geology. James C. and Mary Douglass Stovall Memorial Scholarship Endowment Fund: This fund provides financial aid to undergraduate and graduate students in the Department of Geological Sciences. Majorie C. Thayer Scholarship Endowment Fund: Provides support of graduate students in Geological Sciences to do field work in an area related to environmental issues. H. P. and Carrie Meierjurgen Professorship Endowment Fund: This fund is used to support visiting scientists who spend a term in residence within the Department of Geological Sciences. Recipients collaborate with our faculty and graduate students, and conduct research while in the department. More information about this fellowship is available here. Your check should be made payable to the UO Foundation. Include the name of the fund to which you wish to donate (see text above) in the memo line. The UO Foundation can also handle gifts in the form of financial securities, property, or matching gift programs sponsored by your employer. Why give to the Department of Earth Sciences? The faculty and staff in the department are committed to advancing the educational and scholarly mission of the university. However, limited financial resources restrict our ability to develop educational opportunities that benefit our students. Donations to the department and department-related funds allow us to provide a competitive education for our growing body of undergraduates and provide for our graduate students through teaching assistantships and research grants. 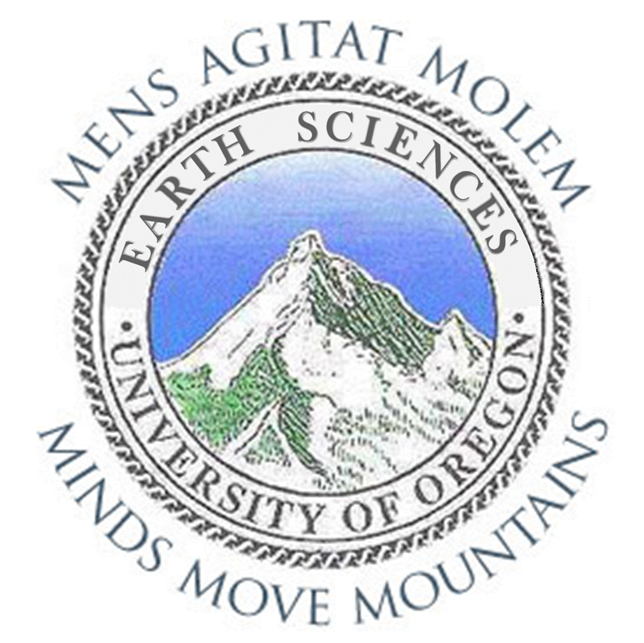 The department of Earth Sciences relies on outside gifts to continue funding course field trips, travel support for graduate students presenting research, postdoctoral scholars, the department seminar, facility improvements, and the undergraduate geology club. Our department greatly appreciates your contribution!